Nothing says “home” quite like a dead rhino head mounted on the wall, or a lovely bear hide under your feet. You too can redecorate to your liking. For $2,000 you can shoot a zebra, or for $20,000 a lion. Cost isn’t an issue? Well then for $40,000 how about an elephant? 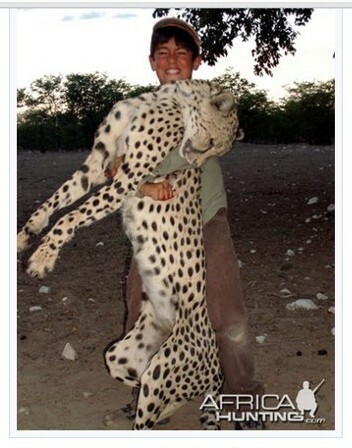 The trophy hunting industry is alive and well in Africa. But with today’s modern hunters, if price is not an issue, neither is convenience. That’s where “canned hunts” or “captive hunts” come in. Shooters pay enormous fees for the guaranteed kill of an animal, some of them endangered species. Although canned hunts are advertised as rugged, outdoor adventures, in reality they are conducted in an atmosphere of comfort and convenience. The area is usually a fenced enclosure from which there is no escape, ranging from a few square yards to several hundred acres, depending on how “strenuous” you want your hunt to be. The animals are either bred by the private land owner just for this purpose or are purchased as “retired” zoo or circus animals. They are all accustomed to people. Whether someone drives up in a jeep to feed them or shoot them, they know no different and have no fear of humans. 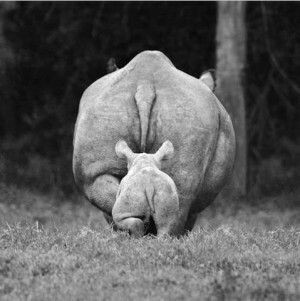 At times a rhino or elephant have had to be woken up in order to be shot! A family vacation for most involves baseball games, museums, amusement parks, or camping. 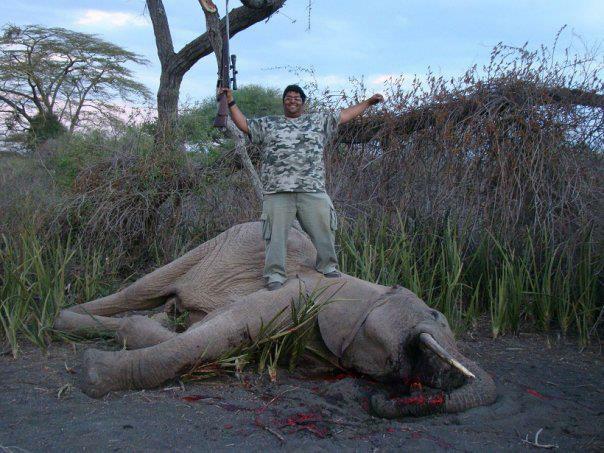 But apparently the for the elite it means shooting endangered animals. 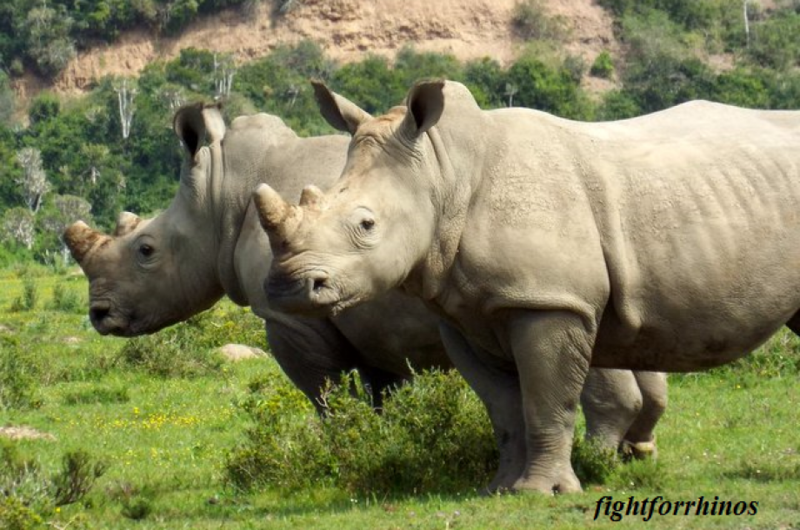 The United States is the largest importer of exotic and endangered animals from Africa. 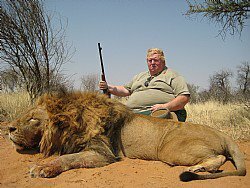 The trophy hunting industry from Africa alone brings in $91 billion annually based on a study by the Professional Hunters Association of S.A. This man didn’t even have to leave the jeep to shoot this unforuntate lion. As if it weren’t bad enough, the U.S has its own hand in the business. The Humane Society of the United States estimates there are over a thousand captive hunts in America, operating in at least 28 states, most commonly in Texas. There are however no federal laws governing canned hunts in America nor does the Animal Welfare Act regulate game preserves or canned hunts. The Endangered Species Act actually ALLOWS the hunting of endangered animals with the appropriate permit! Canned hunts are brutal and one-sided. They are a mockery to hunters who abide by the “fair chase” regulations and ideals; and they are a shameful “luxury” our endangered species cannot afford. 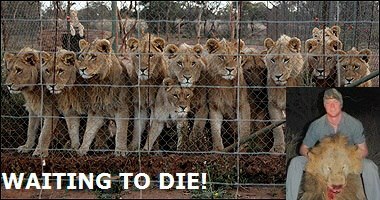 This is a ranch where lions are bred to be killed. This is disgusting! Animal Post blogged about these canned hunts. So egregious I am at a loss for words. I just thought of a word: COWARDS! These people are cowards. I hope a bullet ricochets off a tree and hits them all squarely between the eyes. Lol! I’d be surprised if it hasn’t already happened. They don’t exactly look like the most agile people. I just discovered this blogger who’s been blogging incessantly about the evils of Palm Oil. I think his blog is worth a read. I’ve been on his site catching up on all his posts for the last hour — good stuff that I think you’d appreciate. Reblogged this on ANIMAL POST. I couldn’t bring myself to read or look. It’s just so horrific! Will continue the fight and to support those at the forefront of stopping these atrocities! What’s up, just wanted to say, I loved this article. It was practical.